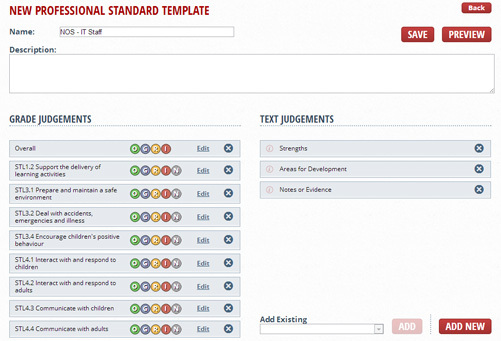 We include templates for the latest Teacher Standards and other frameworks too. Create the standards that you want. Set a default and turn any templates on or off. 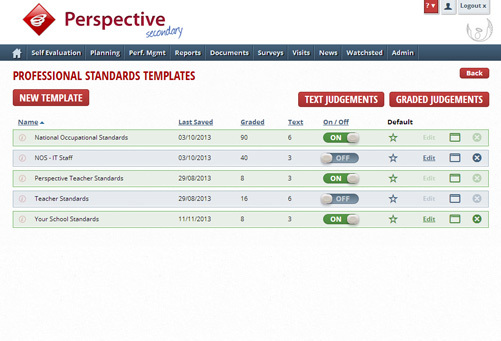 Evaluating against a Professional Standard is easy. 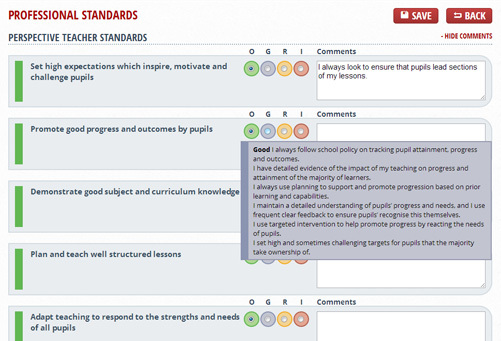 Each grade has a useful descriptor too. 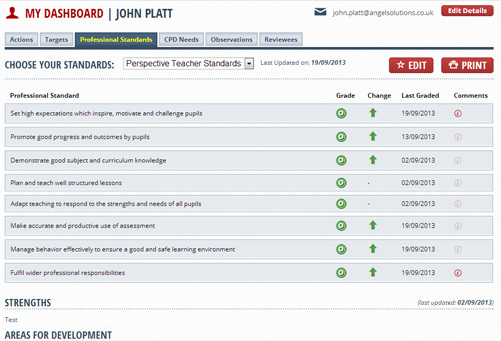 Staff can evaluate throughout the year in their Dashboard and see the progress made.